! This is NOT a method of direct communication with Shawnee Floral & Gifts for purposes of ordering or rectifying problems. They went above and beyond! I could not recommend a better florist. Their customer service is the best you’ll find. Thank you, James! You are a sweetheart! Thank you for your kind words, it was our pleasure! Ordered online. Perfect service on time as needed and beautiful flowers that lasted a full 2 weeks. Thank you. That’s fantastic!!! Thank you so much!! We really appreciate it!! Glad they lasted two weeks. Thanks for your taking the time to let us know. Thank you so much for going above and beyond with my delivery! And helping me get it to the right address. I appreciate the extra time and effort the staff put in! Thank you so much!! I'm sorry you had so much trouble and glad we could locate him! We appreciate you!!! Always so helpful eager to please deliveries are always on time. Even when I drop in with a regent need they are so amazingly helpful. Thanks for all you do. THANK YOU SO MUCH, WE APPRECIATE YOU TAKING THE TIME TO GIVE US FEEDBACK! WE APPRECIATE IT! THANK YOU!! Delivery was timely, can't speak for the bouquet as I never saw it. My family is always pleased with the arrangements we send to them. Customer service is exceptional. Delivery is always been on time. Ordering from out of state it’s a pleasure knowing that I can trust them and the quality of their products. Thank you for your kind words! Appreciated more than you know! Thank you so very much!! This place is amazinggggg. The flowers are always beautiful and always delivered right on time even when I order last minute, and they are extremely reasonable in their pricing. The owner and her daughter are so friendly, I wont order flowers anywhere else! Thank you! Thank you so much!!!! We appreciate you and are glad you liked them!! We hope we can help again and hope you have the happiest of holidays!! Thank you so much! Glad you enjoyed them! We appreciate you!! I seen a picture of the delivered flowers. It could have had some more flowers in the arrangement as the picture had revealed. Other than that, it was a beautiful arrangement. Quality arrangement at a fair price and fast delivery. Thank you so much, we appreciate you!!! The arrangement is beautiful and arrived in excellent condition. Thank you so much!! We appreciate you!!! The gift basket was filled with the most beautiful and delicious fruit! We loved it! Thank you Shawnee Floral. Thank you so much!! We appreciate what the Blue Zone is doing for our community!! The arrangement was beautiful. It arrived just in time for our 22 anneversary. Thank you so much! Thank you so much!! I'm glad to hear that and We hope you all had a wonderful anniversary!! Thank you for your feedback too!! We appreciate you!!! 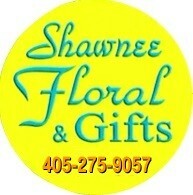 Best floral experience ever in Shawnee, OK.
Paula, Thank you so much!!! That means a lot to us! We appreciate you!! Thank you for the perfect bouquet!!! Beautiful!!! Aww, I'm so glad your Mom got her flowers, so sorry you had so much trouble, glad we could get her something on the day! Thank you!! Such wonderful service. I called from out of state trying to get a last minute mother's day gift. Such wonderful service and the desire to help me out. Thank you! I’ve spoke with 2 lovely ladies here (Phyllis and Jill) great customer service,listens to details, fair prices & incredibly talented. ***** highly recommend. So much better to go through a local business. You’ll be glad you orderd from here! If there were any room left, I could praise so much more. thank you ladies! Thank you so much! It was our pleasure to help you!! We really appreciate you and all your kind words, means the world to us!! Many thanks again!! Thank you so much! We truly appreciate that! Great service, great flowers! Five star experience!! Will use again! Excellent service and completely satisfied with my order. The arrangement looked very similar to the picture. The one I received was actually prettier than the one pictured!! Everything went great. The flowers and balloon were pretty and delivered on time. Thank you !! Thank you so much! We appreciate you!! The flowers were beautiful and maybe the freshest flowers I have ever received. They are still lovely today. I did not find the instructions or flower food. I was delighted by the flowers. Thank you so much! We appreciate you! We usually don’t include flower food with the vase bouquets as we have already added it. We send it with the wrapped bouquets so you can add it. As long as you keep the water fresh and clean it will last a long time. I hope that helps. Thank you again! If you have any other questions don’t hesitate to give us a call. Great job for the beautiful flowers you made for my wife. You helped make Valentine’s Day special! Thank you! We appreciate you both so much! ???? Flowers were very beautiful. But did not contain any instructions or plant food to keep them looking beautiful. Thank you!!! We appreciate your feedback! Give us a call and we will be glad to give you more detailed information about your flower care. Thanks again!! !